And every time I do…life for my family, and myself gets better. Just like YOURS will. And life gets closer to the one that you always knew YOU could enjoy in this industry. Even if right now…thinking about it makes your chest tight, breathing difficult, and causes intense panic and anxiety to kick in. Believe me, I know exactly how you feel. I felt the same way. Maybe even worse. More about that in a minute. We're About to Unlock the Key to Killing That Fear Inside of YOU. Kill the fear and enjoy the fact that as you put yourself out there on video… and do it right… amazing things happen in your business, and in your life. Imagine waking up, checking your email on your phone, and seeing leads and sales notifications as far as you can scroll down? This is exactly what online video has done for me, and literally THOUSANDS of my students. And it's exactly what it will do for YOU! 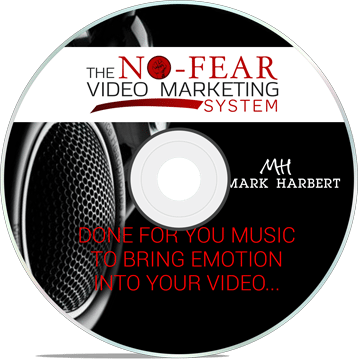 I am so thankful and grateful for Mark Harbert's “No Fear Video Marketing System” course. By taking action and implementing what I have learned in the course, it is such a great feeling knowing, without a shadow of a doubt, that the videos that I make are going to rank on Youtube and bring in laser targeted FREE leads for my business on a daily basis! Thank You Mark! Challenged by Video? 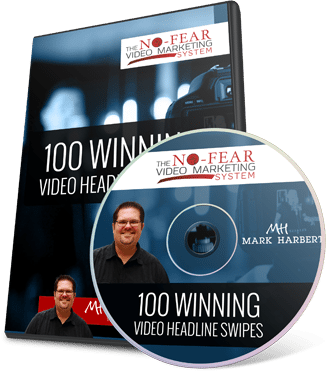 Mark Harbert's No Fear Video Marketing System is OUTSTANDING! Whether a beginner or a seasoned pro, it's the cat's meow! 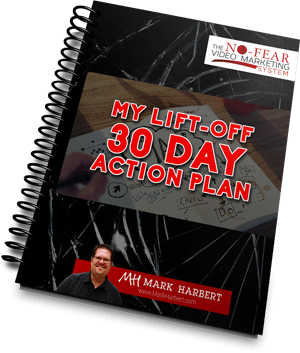 Mark takes you by the hand and shows you the exact steps for MASSIVE RESULTS! I feel I have the edge in video, there were so many mind-blowing secrets. My business will never be the same. Thank you, Mark! 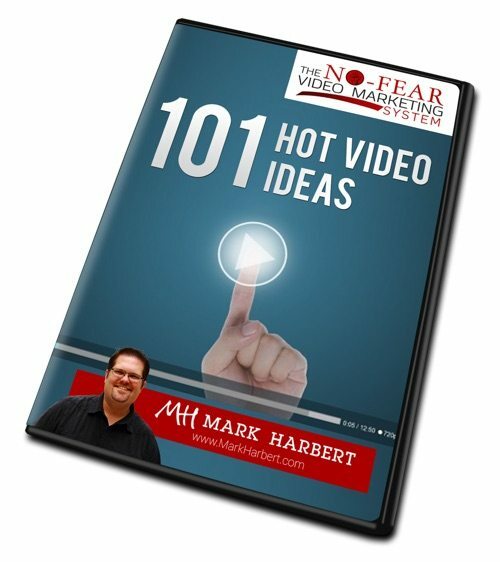 Mark Harbert is an excellent marketer and someone that I go to when I have questions about video marketing. But beyond that he is one of the most genuine leaders I know in our industry who truly cares about the success of his students. He has an incredible passion that drives him to relentlessly deliver the best of himself in order to lift up and empower those around him. 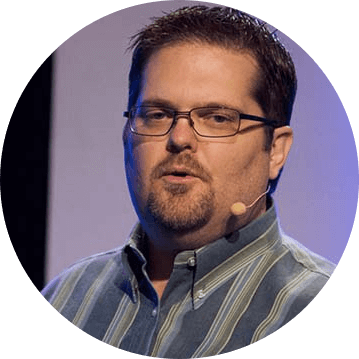 Mark Harbert is one of the best video marketers that I know and as a guy who's generated over 50,000 leads online he is definitely one of the best internet marketers in the industry. He also has a huge heart, he provides exceptional value and he always over delivers for his people. 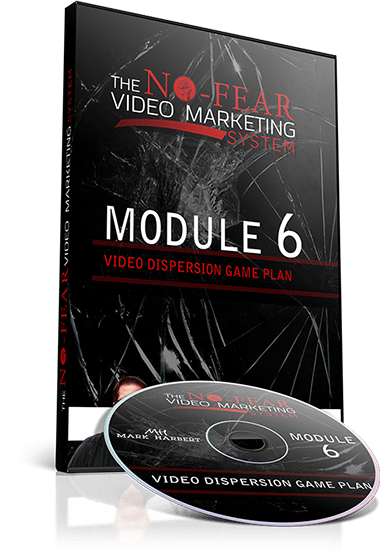 The no fear video marketing system will be no different. And since video is the biggest trust and authority building form of online media, this will be one the most valuable programs you ever purchase. 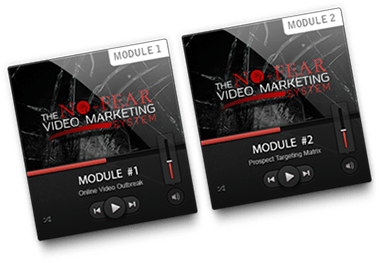 I highly recommend you get your hands on the No Fear Video Marketing System today. 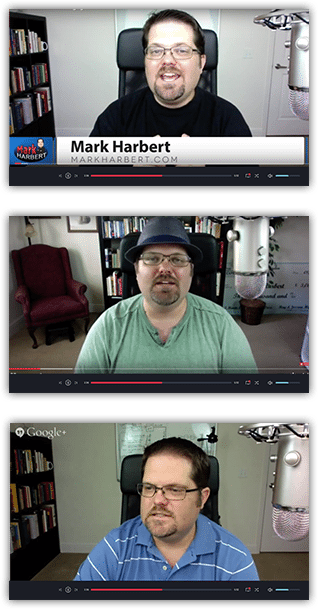 I’ve watched Mark go from nothing, to one of the best video marketing guy’s on the web over the last 5 years. 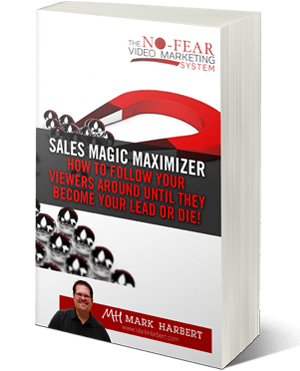 When I first started lead generation from video I immediately thought of Mark Harbert as the “go-to-guy” to fast track my learning. I know the value of getting coaching from the experts and it’s pointless trying to re-create the wheel when you can learn all you need to know from someone who’s had major success in the industry. Mark’s trainings and courses are the BEST you’ll find on Video Marketing and I 100% recommend The No-Fear Video Marketing System to get you started with branding yourself and generating leads with video. Congratulations on another top notch training product Mark… I’ll be recommending it to my entire team. 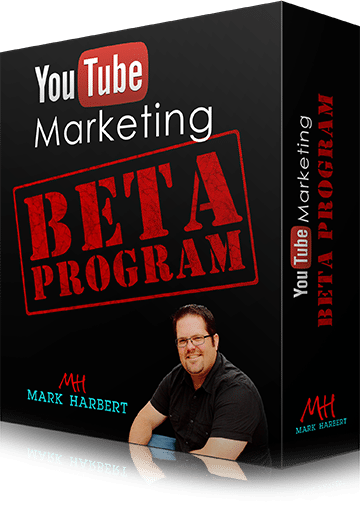 Mark Harbert is not only one of the best video marketers in the world that I know, he is also very passionate and highly skilled mentor for home business entrepreneurs. He pours all of his heart to everything he does, I personally own all of Mark's courses and they are top notch. 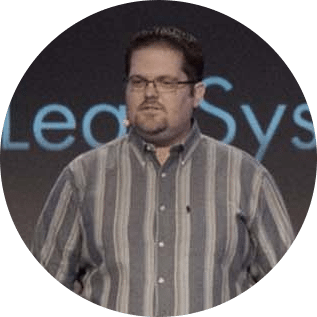 Mark's training inspired me to create over 413 videos and dramatically improved my video marketing skills that helped me build a 6-figure business. 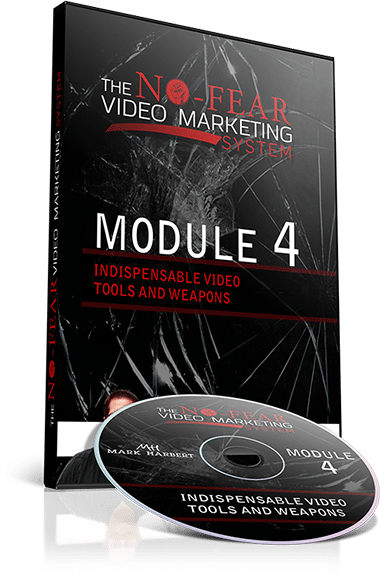 If you are really looking to MASTER all aspects of video marketing, then “The No-Fear Video Marketing System” is everything you will ever need. You’re deathly afraid to get on camera because you don’t like the way that you look or sound, and you’re sure that others will see you as too ugly, too fat, too skinny, too squeaky, too whatever…YOU NAME IT! We're talking up to 73+ serious red-hot leads per day. Most people see me on video and think that all this just comes natural. The truth is…I WAS JUST LIKE YOU ARE NOW WHEN I FIRST STARTED! I was desperately struggling to make my business work for almost a decade. In the midst of all of that, I got laid off from my corporate position. I was close to bankruptcy and foreclosure, and my wife and daughter were depending on me. During the worst of all of that, I could literally barely put food on the table for my family. There was even one heartbreaking Christmas where I couldn't afford presents for my daughter. Unless you've ever gone through that, you can't even comprehend the desperation that you feel. I would have rather faced Mike Tyson in the ring, or lay in a tank of snakes than get myself on camera. And I'm not even exaggerating. And to be perfectly honest I didn't have a clue how to even create a video in the first place. I thought I was doomed because I had no special equipment. No good digital camera. To make matters worse, I couldn't even afford the equipment I thought I needed. Because now I've gotten by just fine on the most minimal of equipment for the past 7 years. Most of my videos are made right from my phone. Or from the camera built right into my laptop. and Complete Video Training EVER! How and Where to Spy On Your Target Market: I'll demonstrate live… right in front of your face what I've done literally hundreds of times to research and tap right into my markets most pressing problems. Obliterating the Fear Factor FOREVER! Killing the Techno-Phobe Inside: Your fear of not knowing the tech side will be dead, and you'll have no choice but to simply push forward with this proven video marketing system! Tackling Who YOU Are: Nothing will happen in your biz until you come to terms with who you are. You're ready to start creating videos TODAY. I'll help you realize WHY that's true and how to make it happen IMMEDIATELY!.. And MANY MORE Breakthrough Insights! EVERYTHING That I've Discovered and Experienced With Video Marketing to Become a Top Leader and Multiple Six-Figure Earner... Laid Out for YOU... Step-by-Step. Ever buy a course and felt abandoned as soon as questions and problems came up? Me too! That's why I've vowed to never let that happen to you. Not only will you get access to me (yes I'll actually be in the group answering your questions directly), but you'll also have a mastermind of other students to help you. You'll get FAST direct assistance, and you'll be privy to WHAT'S WORKING RIGHT NOW from other members. This might be the most valuable secret weapon of this entire course. Nervous about that first video? No Worries! It most certainly helps when you've got someone who's created thousands of videos, that have brought in over 50K leads to look your video over, and tell you how to tweak it to make it even MORE effective. Go through the course, put everything in action, and I'll be more than happy to take a look and show you how to improve your next video, make it more valuable, and even get ranked better. I wish I'd had that when I'd first gotten started. BTW, this doesn't come cheap. My coaching clients pay me $450 an hour to do these reviews. It's FREE for YOU, just for being savvy enough to get your hands on ‘The No-Fear Video Marketing System'! The truth… is you're creating videos for one reason and one reason alone! Leads! Without leads as a result, even your best video quickly becomes useless. This training will show you HOW to create amazing capture pages, and I'll even show you the two most effective tools I use EVERY SINGLE TIME to create lead sucking pages! Around Until They Become YOUR Lead or Die! This is a technique that some know about, but most don't do. Those who do, usually do completely wrong. After this training, you'll understand a marketing technique ONLY available to the savvy ONLINE ENTREPRENEURS. I'll show you how the big boys and girls like Amazon, Ebay, and Apple crank up the volume on profits every single day! This could be worth the cost of the entire course alone if done right! Your videos are absolutely useless if nobody watches them. To get people to watch your video you MUST grab them by the throat with your headline. These SAMPLE headline swipes will practically force prospects to click play. Nothing creates an emotional (and even hypnotic) state as well as music. Every single movie, television show, and commercial uses music in the background for a profound reason. It creates emotion to keep your viewer intrigued and glued to the screen. Use this royalty free music in your videos and watch how viewers are captivated by your videos. Your time on page will soar, and your bounce rate will plummet! One of the things that you won't have to worry about as you get started is what topics to cover in your videos. I've got that covered in more ways than one. In the course itself I'll show you exactly what to do, but in the beginning you can simply rely on these video ideas I've already compiled for you. These are based on my own 7 years of experience with effective keyword research, and getting in front of trends. These topics that will carry you into well into the future with no fear of what to talk about! So no worries. You'll enjoy killer video topics for the next 101 one days! I've recorded each module in audio only format so you can listen to it on the go right from your smartphone, in your car, in the gym, at work, when you want. Plug in and learn. If you're someone who's busy, and always on the run this is the perfect way to learn without having to be stuck…sitting at your computer! This will be the jolt that you need to put everything that is revealed into action. Too often we take what we learn, and put it on the back burner. NOT THIS TIME!! This course is designed to completely to amplify your business in 90 Days or Less. These first 30 Days will be CRUCIAL to making that happen. This was a full-blown LIVE Beta course for ‘The No Fear Video System'. 50 future rock stars showed up live each week to find out how to take their business to the next level with advanced video marketing and you get access to the 10+ hours of recordings. The #1 thing you'll take away from this bonus is the revealing Q&A Sessions in each module. Get your questions answered without even having to ask because there's a 99% chance that someone else had the same exact question! I struggled with the decision to even release this course as a bonus. It's so damn valuable on it's own. I could EASILY sell this for $497 on it's own. This is a full 6 Module Course… created for no other reason than to turn your videos into influence machines. …All because they like YOU, and trust YOU. And feel like they are already your friend. This can happen with just one video, and it gets more powerful with each video you create. It creates lasting fans, and customers for your new products. 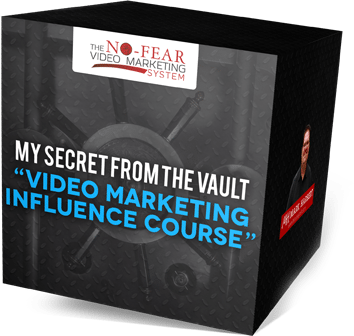 I'll show you how to engineer this inside of the “Video Marketing Influence” Course. But YOU Pay ONLY $997 When You BUY TODAY! Using Video Is Why I Was Able to Skyrocket My Business and Become a Celebrity In The Network Marketing and Home Biz Niche! Quick Story: I attend multiple industry events every single year. Since the very first year of creating videos for my biz, one of the things I've experienced was a mini-celebrity status. Listen…when I go to the grocery store in my neighborhood, I'm just some regular ole dude. Nobody comes to me asking for autographs. I make my way to the bathroom and people come up to me, 99% of the time, asking if they can take a picture with me. BONUS: They repost those pics on their social media, boosting my credibility even further. Best of all…they tell me the stories of how my videos have changed their marketing and their lives forever! That would not be possible if I would have used ANY other medium. But What About Facebook, Instagram, Twitter? Those are all effective elements to add to your marketing. There are tons of leaders who use those as big parts of their marketing. But if you look closely, if you pull back the curtain…almost ALL of them have added a strong video element behind those other marketing channels to build “KNOW, LIKE, and TRUST” to their Marketing. Isn't It Time You Have the Same Advantage With YOUR Marketing? Worried you might get left out in the cold again like others have done to you? I want to give you every chance in the world to put the No-Fear Video Marketing System to action in your biz! So I'm saying “screw it” with your everyday cookie-cutter GUARANTEE that gives you the chance to back out of fulfilling YOUR dreams. 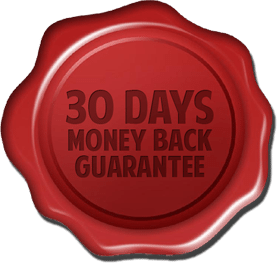 I'll gladly refund you EVERY PENNY of your investment if you come to me within 30 Days of your investment…. As soon as you SHOW ME SOLID EVIDENCE that you've put this system into action, created videos, uploaded them to the internet, and nothing happened! The truth is…if you're not going to put this system to use, then I'd rather you just click away now. I'm only asking for you to give 30 days to apply it ALL! If it still doesn't work for YOU, I'll happily send you back your investment and we can part as friends. Simple. I earn multiple six-figures per year by doing exactly what I lay out in this system! 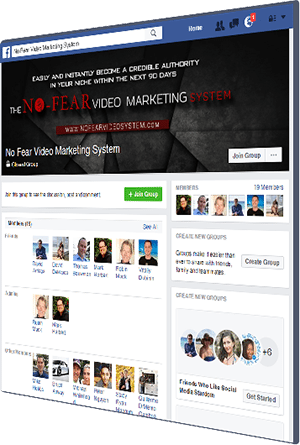 The No-Fear Video Marketing System is for business owners who are committed to implementing profit producing systems into their business, and NOT merely for tire kickers only interested in collecting more information that collects dust on their hard drives. There’s transformation waiting for you inside this training system, and since my main goal is your success, I’m not afraid to give you some tough love when it comes to holding you accountable to yourself, your family, and your dreams. P.S. I don't care if you've been petrified of getting on camera your entire life. This course is going to give you the confidence boosting tools to get over your fear of the camera, the tech know-how to spread your videos far and wide across the internet, and the influence skills to force your viewers to take immediate ACTION. You and your entire family will benefit as your videos start sucking in more leads, sales, and signups than you've ever dreamed possible. P.P.S. Whether you're a network marketer, affiliate marketer, product owner, realtor, public speaker, or a plumber trying to get more leads in your town. Using this strategy the way I lay it out will bring in more people to your business.